The US pop singer has been dating comedian Pete Davidson for just under a month, but the romance is blooming, as the couple can’t stop sharing loved up photos together on social media. Recently, Grande and Davidson went to Kanye West's album listening party together and reports of their engagement emerged after they attended a party hosted by Robert Pattinson, where they allegedly shared the big news with guests. 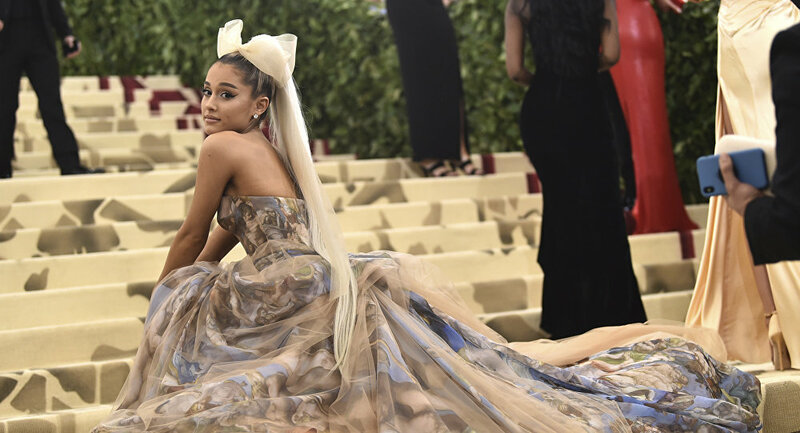 Afterwards, Grande appeared to have confirmed the engagement reports on her social media accounts. Responding to a fan that tweeted: "I hope he knows he is marrying us as well," the singer tweeted: "HAHAHAHAHAHAHA HE'S BEEN BRIEFED." ​The 24-year-old also told her friend, fellow pop star Camila Cabello — who often calls her "wife" — that they "need to talk". She also responded to a tweet calling her Mrs. Davidson. ​Grande’s boyfriend, Pete Davidson, is known for his role on the US sketch show Saturday Night Live, recently got two tattoos of Ariana, with her initials on his fingers and the bunny ears logo associated with her on his neck. Social media has been abuzz with the news of the engagement.